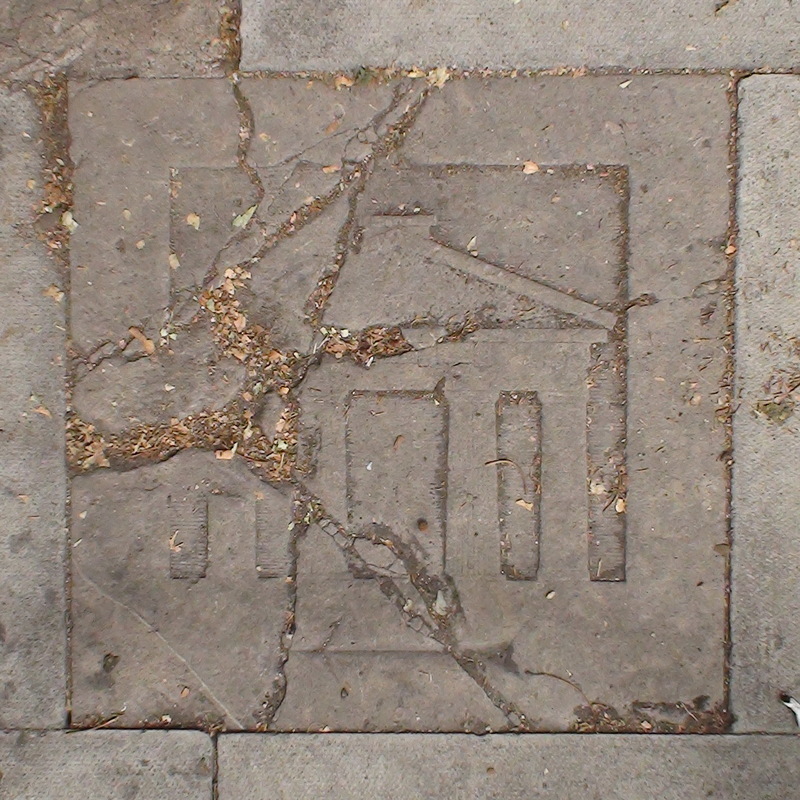 We were delighted to be told of this fourth pavement plaque in Camden by Alan Wito, Principal Planner with Camden Council. The other three being: Egyptian eye, palmette, house sparrow. Alan came across this plaque in 2008 and tried to discover its origins but drew a blank, just as we have done with the other three. Alan suggested we try the Camden Local Studies and Archives Centre. They were very helpful but found no information. This plaque is in worse condition than the others but it is heartening that it survived the installation of the bike racks, and was not removed as damaged slabs normally are. 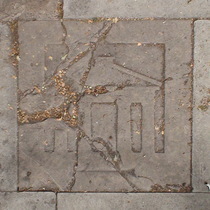 In our photo it is in the pavement between the railings and the right-most bike stand, oriented so the arrow points northwards, correctly, to the site of the Euston Arch. Unveiled during the Notting Hill Carnival, 2011. LCC Sir Julius Benedict (1804 - 1885), musical composer, lived and died here.